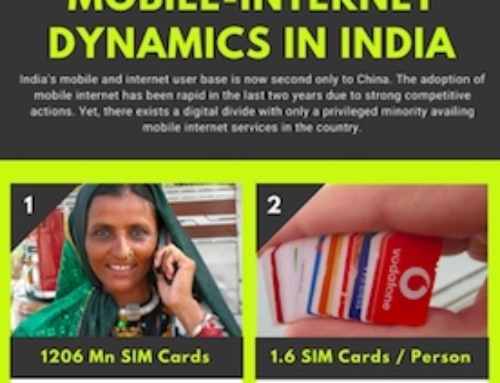 Although direct selling isn’t a very commonly discussed business model in India, it is a force to be reckoned with. It is now a Rs.4200 crore industry and about 3 million Indians are engaged in direct selling; of this, 2.1 million are women, mainly because it offers an additional income and flexible hours. Several brands sold through this model are now at par or beginning to overtake the more mainstream FMCG and OTC brands which are backed with aggressive marketing and extensive distribution networks. Take for example Amway’s Nutrilite protein powder – It is now a Rs. 250 crore brand far ahead of its competitors like Wockhardt’s ProtineX. Amway’s supplement pill Nutrilite Daily is close on the heels of Ranbaxy’s heavily advertised Revital having grown 34% last year. Glister toothpaste from Amway is also a over Rs.100 crore brand now, and is fast closing in on Dabur Red Toothpaste which has been around in the market since decades. 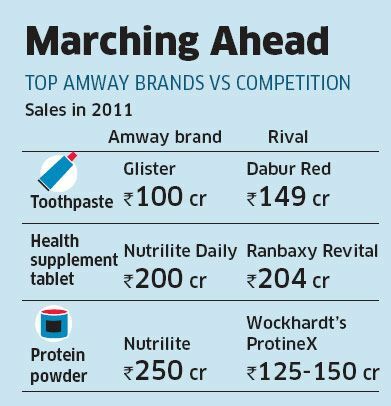 As a company too, Amway has outgrown multinationals like L’Oreal, Nivea and Kellogg’s in India by reporting Rs.2130 crore in sales for calendar year 2010-11. The US-based company, which started operations in India 14 years ago, attributes its success to 5.5 lakh active distributors, aggressive pricing and advertising. It has ambitious plans for this year too – it plans to double its advertising spends this year from Rs.30 crore in 2011 to Rs.58 crore, as it targets double-digit growth to follow 19% rise in sales last year. Tupperware India Pvt. Ltd., which sells food storage, preparation and serving dishes, is expanding its distribution by appointing more consultants in the 50 cities and towns it operates in. The company is also developing new product offerings to suit the need of Indians. Asha Gupta, MD-Tupperware India, points out that non-metros are seeing brisk member addition and sales, revenue contribution of non-tier I cities stood at 38% in 2009-10, against 14% in 2008-09. Oriflame has now been in India for over 15 years and has been registering a CAGR of 40% over the past five years. Its key markets include East and North-East region – which contributes around 40% to its total sales in India. That said, they have been growing the fastest in the southern four states and plan to focus expansion efforts here. They already have a product basket of 650 products and plan to introduce 300-350 new ones this year to keep up with the latest trends. 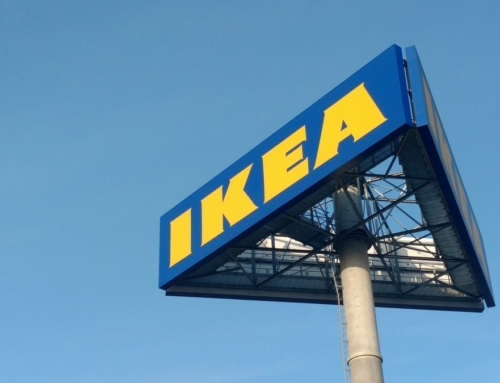 The company is targeting to appoint 1.25 lakh new sales consultants to take the figure to 3 lakh by the end of this year, and have 500 service points from the current 350. Modicare, the first India-based direct selling company, which sells cosmetics, foods and beverages, health and wellness and agriculture, personal, home, fabric and automobile care products, has grown significantly in the last 4 years. It has a network of over 1 lakh consultants with 40 centers serving 2700 cities across India and targeting sales of Rs.200 crore this year. The latest addition to the list of companies working on the direct selling method is Qi – but it does so on with a difference. One, it operates only on an e-commerce platform and two, in addition to products in the nutrition, health, home and personal care space, it sells a range of luxury products and services too – such as branded watches, gold and silver jewelry, holiday packages, e-learning packages. It has over 40 lakh members operating globally and has now made its entry into India. 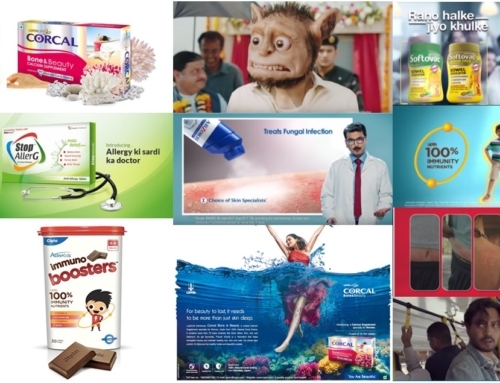 While some companies like Amway, Tupperware and Eureka Forbes have been advertising on TV; Tupperware also has its products on display at several supermarkets for a touch and feel experience; others like Oriflame and Avon are targeting a higher sales consultant base before advertising or exploring alternate/ complimentary distribution channels. Modicare is also slowly and steadily expanding its sales consultant base along with product portfolio to attract the Tier-III and smaller town customers. Whatever the approach may be, each one has set its growth goals and is striving to achieve them. Perhaps, it is the traditional FMCG and OTC companies that need to take notice and be prepared. Sources: News articles, Company websites. Tupperware popularized direct selling in the US in the 50s through it’s Tupperware Parties – in which a female representative had a lunch/tea party at her home where she displayed tupperware products to others in the neighborhood. 1. They had motivated salespeople since woman felt empowered to be able to earn for themselves even though they were home-makers. They managed to capture and retain customers because their distributors were viewed as trustworthy. 2. These companies did not need a highly trained staff because they had a ready sales force who knew how to sell their products since the women selling them were just like the ones buying them. They were able to tap into their psyches and it was a very customized and personalized sales approach. 3. Since it was a loose distribution model, with stakeholders earning mainly through commissions/profit sharing, there were fewer overheads. Companies managed to keep their inventory streamlined since they knew what products were selling at a micro-level – down to what worked in which neighborhoods. 4. It was convenient for the customers since they could sample the products at home, compare notes with others, as well as order and get delivery at their doorstep. Over the past decade people have been harping on about e-commerce and online sales. But at the end of the day, in order to tap into a market’s full potential you have to cater to people who are not tech-savvy, who are are apprehensive to purchase products online and who prefer to deal with a face rather than a screen. I agree with you that e-commerce can only take a company so far. Companies need to go back to basics and reintroduce a human face and touch to sales. A really long and detailed comment, enjoyed reading it too. Though I have to admit that this post was entirely Roshni’s work, so the credit goes to her. I believe any time you can actually support any individual with this it really is the best thing to do . With thanks and most certain countless people acknowledge the instruction . Glad you like the post. Do keep dropping comments on posts that you like, we love reading them. Glad you likes the post. Do keep reading, and commenting.